Starting and opening a company is a tough endeavor for anyone to pursue. You are taking an idea and working to transform it into a functioning business. The task seems easy in your mind, but once you start to write everything out and actually execute your idea, the process becomes much more challenging than you initially expected. There are so many different parts that go into developing a successful business, so missing out on an important function during the development phase can lead to failure in the near future. You do not want your business to fail within its first year of operation just like many start-ups do. 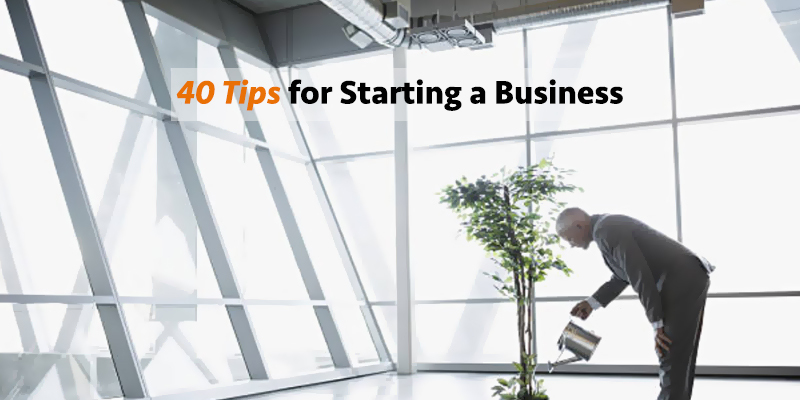 You want to ensure its longevity is set by starting your business off on the right track. Therefore you will need to avoid making mistakes that set your business back. You need to determine if you have what it takes to be an entrepreneur before you invest your time and money into starting a business. This is not some job where you can just clock in and clock out after a set amount of hours. When you are an entrepreneur, your business becomes your life, requiring willpower and stamina to develop fully. You will have to be committed to building your business every single day until it becomes successful. This applies even when you are sick or do not feel like working that particular day. You will need to be sure that you are starting a business that you have a very high possibility of making successful. Do not just start a business because you see others having wild success operating a particular business. You need to assess whether it is a feasible business idea, whether you are the right person to take it to market and whether the market will validate your idea by purchasing your product or service. Before you allocate vast amounts of funding and effort into your idea, you need to validate your proposed product or service. Take the time to communicate your idea to your target market before fully investing in developing your product or service. Ask their opinion about what they like and what they do not like about your offering. Be bold and ask them whether they would buy it and how much they would pay for it. Take the advice they give you and create a product or service that has a ready and willing customer segment willing to buy it, rather than a product which is not understood and ignored by the market. Your business plan is your guide that lays out the blueprints and your step-by-step plan for creating a successful business. It needs to include information such as your mission, competition, marketing strategy, sales strategy, funding needs, and financial projections. This document also needs to be presented to banks if you are seeking a traditional loan. They will need to see if you have the ability to pay the loan back if it is granted. Everybody is not your customer, so you need to identify the people who actually are your customers. You do this by creating a customer profile – identifying the key characteristics of people who would be your preferred customer. This helps you focus your marketing efforts only on those who will respond to your marketing messages and make a purchase. You nned to understand the demographics of your target segment (who will buy your product) and their psychographics (why they will buy your product). Not only does this save you time and money, it also increases your sales. You will learn that most businesses that struggle do so because they have not identified their target market. You will need to know the costs associated with producing and storing your products. If you are offering a service, you need to calculate costs such as an office space, marketing, and administration. You will need to do the research and put together your budget as well as possible so that you are not surprised by any unforeseen costs that arise during the process of operating your new business. When the costs are known, you can then determine how much money is needed to start and operate your business. You need to create a budget so that you can keep your expenses in check. You do not want to place yourself so deep in debt starting your business that you cannot make a profit after a few sales. If an investor is needed to fund your business, you need to make sure that you choose an investor who believes in the vision of your business. If you make the mistake of choosing the wrong investor, they will want to turn your business into their business because they loaned you the startup capital. They will start to assert control over your business and your idea. This puts you in a tough position because you need their money, but you do not want to move away from your vision of how your business should be operated. You avoid this by carefully choosing the right investor. The investors you should listen to are the ones who have business experience. Yes, if someone invested in your business they can voice their opinion in regards to how the company is being operated and performing. You should listen to them and take special care to pay careful attention to the investors who have direct experience in your industry. But, if your investor is a person who has money but never operated their own business or experience in a totally unrelated industry, their opinion should not weigh so heavily in your decision-making process. Trying to turn your business idea into a successful business will be a very difficult challenge for you to undertake. This is why you need to have a great support system which can keep you encouraged and motivated when things are not going your way. The stress you experience will be heavy at times, which is why you need people in your corner who can help ease your mind. When you incorporate your business, you will need to determine which legal entity provides you with the best options and legal protection for your business operations. The legal structures you can choose from include: sole proprietorship, partnership, limited liability partnership (LLP). Each legal entity has its own advantages and disadvantages. You should choose the structure that provides your business with the best legal and financial protection and with the least onerous tax obligations. You need to come up with a business name that best communicates what your business does. If this cannot be accomplished then you need a name that stands out. When you come up with your business name, you will need to be sure that it has not been used before and is cleared for use by the authorities. You will also need to check to see if the domain name is available so that you can have a website with your business name. Once you know if your business name is available, you will need to register your business name with your business administration office. This lets other people know that your particular business name is not available for use. You also want to go ahead and purchase your domain name. You do not want to have to go through the frustrating process of purchasing your business name though cybersquatters who buy up domain names and resell them for an exorbitant fee. Free resources are great for new business owners who have limited financial resources. You can find free resources through websites and your local SBA offices. Take advantage of these free resources so that you can develop your business as much as possible and gain valuable knowledge from other experienced entrepreneurs. You will need to know your tax obligations so that you do not get in trouble with your country’s tax administrators, both for not filing your tax returns in time and for not paying your taxes in time. When your taxes are not paid correctly, you will have liens placed on your business account and personal account until your tax penalties are paid off. Starting a business will require you to have several permits and licenses in order for your business to be recognized as a legitimate business. This means getting an EIN, your relevant permits, and the specific licenses that are needed for your business to operate. Insurance is needed to cover any damage or loss that occurs within your business. The upfront costs may seem like a burden but it is great to have some protection if something bad does occur. Instead of trying to fix your problems out of your own pocket, your insurers will take care of everything. Depending on your specific business needs, you may need liability insurance, vehicle insurance (if you have company vehicles), property insurance and employee insurance. You will need to get your accounting systems in place so that your finances are in order. You never want any surprises to come up, such as being informed that business is about to run out of money in a few weeks’ time. Determine if you will be using a cash or accrual system. You want to be sure that all revenues and expenses are recorded, updated frequently and easily accessed so that you know the accurate financial status of your business. You need to choose a business location that will help your business succeed. You would not have a high-end luxury retail store in a remote suburb because it would not have enough paying customers to succeed. Therefore, you need to be in a location that is accessible to your customer base and provides you with high growth potential. Especially in the early days of your business, an office is a luxury, not a must. If you are not making enough money, it makes no sense to take on the expensive overheads of an office space. You can find budget-friendly co-working spaces or you can work out of your home. Just do not make the mistake of believing you need an actual brick-and-mortar office to be seen as a real business. There are people operating six-figure and million-dollar businesses from their computers and out of their homes and Virtual Office. If you genuinely have developed innovative products or technological processes, the natural tendency is to protect your intellectual property from unscrupulous imitators by taking out patents. However, patents are very expensive — thousands of dollars that you probably cannot afford. Instead of spending a lot of money on a patent, focus your time on acquiring customers. When you grow your cash flow, you can then begin to realistically look at the option of purchasing a patent. Do not become so stubborn that you cannot change a failing concept. If your business can be improved by going in another direction, you need to choose the better option. Trying to force a business to succeed with your undying loyalty to your old ideas will only end up in you being frustrated, losing money, and wasting time. You should share your business idea with your family, especially if your business will affect their standard of living. You can also use the opinions of your good friends as a sounding board to see things about your business that you did not or cannot see. Just do not completely depend on the opinions of your family and friends. If they are not entrepreneurs themselves, they may be risk-averse and may not see the benefits of starting a business. If your business is ignored by your target market, do not get upset and think people are overlooking a great business. You may need to go back to the drawing board to re-examine your business. Find out how you can improve your business and re-enter the marketplace with a better product or service. Sometimes the problem is not the product but the way the product is presented to the market. Take time to examine your marketing strategy. You also need to look at your marketing. If your message is not effective, customers will not even know what your business does, much less buy from it. Immediately offer your product or service in the marketplace. You need to do this for two reasons. You want to acquire customers quickly and you want to learn the strengths and weaknesses of your offering. This helps you improve your product or service, helping you keep existing customers and bring in new customers. Update your product or service offering if you want to retain your existing customers. You will determine how you can dig deeper into their problems and provide better solutions. Retain the customers from going to competitors because they are always improving their offerings, while you are not. Therefore, you need to constantly improve your products and services. Do not try to rush success because you are impatient and want to be a millionaire as soon as you start your business. It does not work like that. You will need to be patient and build your business up over time. If you consistently provide value through great products and excellent customer service, your business will be successful. The secret to getting long-term customers is to underpromise and over-deliver. When you exceed the customers’ expectations your value as a provider will increase in their eyes. This is especially the case when you new customers. Keep up your efforts to exceed their expectations so that they become loyal, recurring customers. A blog is a great platform to use to communicate with your target market and nurture them into loyal customers. Your blog provides consumers with an insider’s view into your business, displays your business’s knowledge, and helps to establish your business as an authority within your industry. This is why you must blog consistently and provide your target market with great content that will be hard for them to find anywhere else. You do not want to argue with your partners because doing so distracts your attention away from your business. Instead of arguing, discuss the issues of conflict so that a mutually beneficial resolution can be reached. If a mutual resolution cannot be reached, dissolve the partnership and go your separate ways. It makes no sense to try to operate a business with a person you do not agree with. This only holds the business back – damaging the progress that has been made over time. When you bring in an investor, you will have to give up some of your business’s equity. You should not worry at great length about having to give up some control of your business. As long as you have the capital that is needed to further grow your business and your investor brings his expertise, industry contact and much-needed advice, you should be focused on moving your business to the next level. Most marketing nowadays is done online – email marketing, social media marketing, content marketing. Therefore, you need to hire a professional who specializes in writing effective copy that turns readers into leads for your business. When you are creating effective copy, you will have continuous leads to nurture through your sales funnel. Never walk into a meeting not knowing the background of the people you are meeting with. You need to find as much information as possible about that individual. Find out the current status of their business and where they would like their business to be in the future. Know who their customers are and who their competitors are. When you can walk into a meeting telling prospects, suppliers or potential investors detailed information about their business they will take you more seriously. Your competitors are needed so that you can constantly improve your business. Instead of allowing your competition to make you fear for your business, use them as the motivation you need to provide your customers with the best products or services possible. In fact, you should provide so much value that your competition fears you, not the other way round. Word-of-mouth is the best form of marketing that can occur for your business. When people are eagerly telling family and friends about the value of your business, people will want to find out more about your business and will become better prospects and potential clients for your business. This is because people tend to trust and purchase from businesses that are recommended by family and friends. Therefore, you need to provide great value to your customers and delight them with your service if you want them to tell others about your business. You need to meet as many people as possible so that you can get word out about your business. Even if the people you meet are not your target customers, they are likely to know someone who needs your products or services or someone who can be a potential supplier, investor, or even partner. You need to develop the relationships with the people you connect with by learning how you can help them. Ensuring that you provide value to everyone in your network leads to the fostering of more long-lasting and mutually beneficial relationships you can rely on when you need business solutions. You can have the best product or service in the marketplace, but if your customer service is lacking, you can forget about having many long-term customers. And when word spreads about your bad customer service, you will start seeing your customers turning to your competitors to meet their needs. This is why it is important to focus on providing your customers with excellent customer service. You can have a mediocre product but your great customer service can keep people loyal to your business. If people cannot access your information through your website or your website is not designed with good user experience as a priority, you have a problem. A bad website means the first impression of your business is bad, which will then affect your sales – something that you do not want to happen. Therefore, you need to go through every page on your website to ensure each page has concise information, working links, communication of the value you provide and clear calls-to-action. Also, be sure that your product and service pages have a shopping cart option that works. You need to employ people who understand the vision of your business, possess the skill sets you need and are willing to work hard to grow your business. This will be the team you depend on to do their jobs well in order for your business to run smoothly and continue to succeed. Hire slow and carefully always. Fire fast when trust is broken and you can no longer rely on the employee to deliver value to your business.